Malcolm Mann is an English language teacher and materials writer. 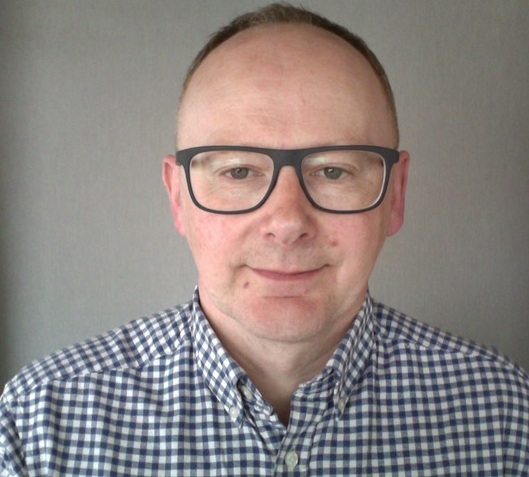 He is the author or co-author of numerous ELT courses including the Laser and Optimise series (both published by Macmillan Education) and has given presentations in many countries round the world. In his spare time, he’s a partner in a bike shop and café/bar in Athens. Malcolm is a former Chairperson of TESOL Greece. In this session, we’ll look at some of the traditions of our field, particularly in terms of how they apply to teaching in Greece, and ask the question ‘Is there a better way of doing this?’ We’ll explore various aspects of teaching grammar and vocabulary and developing language skills, with an emphasis on practical ways to approach some of these ideas in the classroom. The title of your plenary is ‘Transforming tradition’. What do you mean by ‘tradition’ in an ELT context? Any teacher coming into the world of ELT soon realises there are generally-accepted ways of approaching what to teach and how to teach it. From the terminology we use to the grammar syllabus we follow, from how we approach vocabulary development to how we prepare students for exams, from how much we use L1 to how much homework we give, there are ‘traditions’ – practices – that have built up over time. They might be traditions just in one school, or in one country, or they might be industry wide. Many of them are extremely sensible, the result of years of experience. Some of them are challenged at times, a source of debate and disagreement within the field. And others have become so firmly established that they’re just ‘blindly’ accepted as ‘the way it’s done’. One example of that kind of tradition is conditionals. Why they’re called zero, first, etc seems to have been lost in the mists of time, and few people ever question the validity of approaching conditionals in the way we generally do. I won’t say more about that now, though, as it’s one of the things I’m going to touch on in my plenary. You mention that some traditions are the sensible result of years of experience. What about those traditions that are ‘blindly’ accepted as ‘the way it’s done’? How do you think those traditions get established? I think it’s difficult to generalise because the factors may be different in each case, but I’ll mention here two factors which I think often play a major role: published materials (ie coursebooks, grammar books, etc) and exams. They have an enormous effect on what is focused on in the classroom, and how. I’ve got a coursebook in my bookcase from the late 1980s that has vocabulary sections called ‘verb combinations’. You”d be unlikely to find that in a coursebook today. Since then, a consensus seems to have been reached – a tradition establised – that we call them ‘phrasal verbs’. That’s what Cambridge Assessment call them these days in their exam handbooks. Interestingly, in that old coursebook, they’re grouped by particle (and equally interestingly, they call all the particles ‘prepositions’). These days, the majority of coursebooks and vocabulary books present phrasal verbs by main verb (phrasal verbs with get, take, set, put, etc). I suspect many teachers today just presume that’s the best way of organising and teaching them – because that’s how most current books do it. I know I’d been teaching for many years before I started to question whether that is in fact always the best approach. You mention coursebooks and other published material. As a coursebook writer, to what extent do you think classroom materials should conform to teachers’, and students’, expectations, or classroom traditions, and to what extent should they challenge those traditions? One of the most important things to bear in mind when you’re writing materials that are going to be published is that they’re not for you personally and they’re not for your specific students. They’re for other teachers and students, perhaps in other countries and other teaching environments, and perhaps with particular expectations or traditions which you would challenge. Some writers do struggle with this tension, and it’s certainly an issue at times. For me, the key thing is first of all to know your market or markets well – to know what the teachers there want and expect. And then, if there’s something you feel should be done differently for some reason (to make their and their students’ lives easier, to aid understanding or skills development, etc), to explain your position to them. In my experience, most of the time teachers are very willing to listen to these kinds of ideas. And if for some reason they won’t sign up to the suggestion, then you have to make a choice what to do. For me, it’s generally a relatively easy choice because there seems very little point producing materials if the teachers aren’t going to want to use them. Language classrooms often work differently from other classrooms that students spend time in. I’m thinking about the kind of tasks students are asked to do and the way classroom activities are run. Do you think English language teachers face particular issues regarding classroom traditions and expectations? Once again, it’s difficult to generalise as the situation isn’t the same in every classroom, school or country, but if we think about Greece for a moment then I’d say English language teachers often do face particular issues. One key one is the cultural importance given to ‘getting the certificate’, and the consequence of therefore having to ‘teach for the exam’. This places severe restrictions at times on what can and can’t be done in the classroom. Likewise, when you’re talking about teenage students, the expectations of the parents often play a role in determining what is and isn’t acceptable. If parents think that ‘good’ teaching equates to students doing lots of grammar exercises in the classroom on their own and in silence, and then being given lots more to do for homework each night, then that’s a pressure on a teacher who views language teaching differently. What advice would you give to teachers, particularly those at the start of their careers, on transforming traditions? Constantly reflect, constantly question, and constantly evaluate. Always ask yourself: Did this work for my students? Is there a better way of doing this? Take full advantage of the years of experience that have led to the traditions we have today (in terms of published materials and school and exam syllabuses, for example) but never just accept that they can’t be improved on. Our profession is always self-reflecting and trying to improve. Think critically about everything you do in the classroom, and don’t be afraid to try new things, new ways of working. Do teacher communities ultimately assist language educators, and how can language educators make the most of them? Yes, I think they’re hugely important. In my previous answer, I said ‘constantly reflect, constantly question, and constantly evaluate’. That’s easy to say, but it’s actually a real skill to do that effectively in practice. Teacher communities like TESOL Greece really help with that – with learning how to think critically about what we do in the classroom. A fundamental aspect of that is sharing knowledge and experience. Teacher communities provide an invaluable forum to consider and discuss the key issues that our profession faces. And to answer the second half of your question, language educators in Greece can make the most of TESOL Greece by making sure they come to the convention in early March. I hope to see you all there!